The Tenebrae Service is meant to inspire and awaken a sense of awe and wonder at the great Mysteries contained within Holy Week and Easter. The intense atmosphere of this service invites your participation and quiet reflection. Music and texts are designed to speak symbolically of our lives identified in the death and resurrection of Jesus. 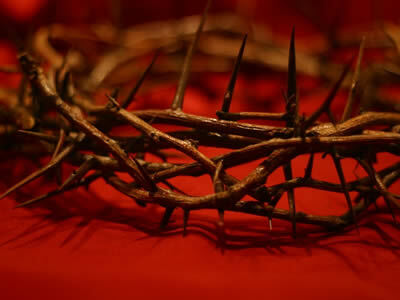 7:30pm Living Stations of the Cross (Youth Group). Each Station will be presented in live scene with a Marian reflection. In many Eastern European countries, it’s a tradition to have a basket of food blessed on Holy Saturday. This Catholic ritual has been cherished for centuries among many families. It has now been adopted by people of all ethnic backgrounds who enjoy this richly symbolic custom.